For a stylish, practical, durable pair of women’s walking boots look no further. Here at GO Outdoors we’ve got a collection of some of the very latest women’s summer leather walking boots that will help to keep your feet cool in the warm conditions while also providing the all-round support you need to tackle the tough terrain. Whether you’re a long distance hill or trail walker, or someone who enjoys walking through one of the many beautiful parts of the UK on a sunny afternoon to blow away the cobwebs after dinner, you’ll find the kind of walking boots you need in our online store. 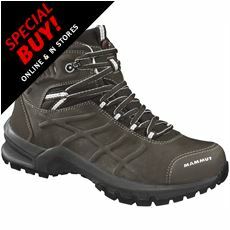 Check out some of the great deals on summer leather walking boots today in store or online.